SEMA Ignited is the official SEMA Show after party, where consumers are welcome to join the industry on Friday, Nov. 4, from 3-10 pm. Taking place at the Gold Lot right across the street from the Las Vegas Convention Center, the event will include vehicles from the SEMA Show, music, food, demonstrations, entertainment and more. Consumers can purchase tickets and obtain details at www.semaignited.com. April 5, 2016 (Signal Hill, Calif.) – The new Formula Drift season will bring a new vehicle for Formula Drift veteran Kyle Mohan, who will park his familiar Mazda RX-8 for a new car built on the Mazda MX-5 platform. Recent testing with the car left Mohan looking forward to competing with the car in the first Formula Drift event of the season this weekend on the Streets of Long Beach. Mohan grew up and lives in Long Beach, and enjoys strong support for his team in the city. Kyle Mohan competes in the Formula Drift Pro Championship in the no. 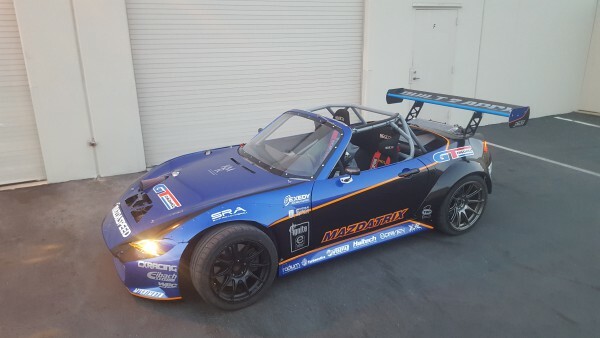 99 GT Radial / Mazdatrix Mazda MX-5. More information can be found at www.kylemohanracing.com.